It has occurred to me that I missed the January version of my monthly surf recap. That is a little sad considering it has proved to be the best month in surfing of the winter season, which is about to close shortly. February was a crazy and rather frustrating month to be a surfer in Santa Barbara. It seemed that for every great day there was a flat day and for ever good run of swell it was followed by a flat spell. Plagued by bad weather, diligence was key. There were plenty of days where a great session went down but only for a short period of time at a certain location. I found myself surfing a wide variety of spots and even a few rather unlikely places. We had a head high SW wind swell that is unheard of anytime of year. Overall though compared to last February this one was a bit unfortunate to say the least. If you notice, in this surf summary there are a few more stats and that is because I have diligently been keeping track of the number of waves and amount of time of each session. Im not going to get into that here. Look for a blog all about my new wave to time in water stats soon. 2: 2/19/11 AM Session – 2-4ft, Solimar? 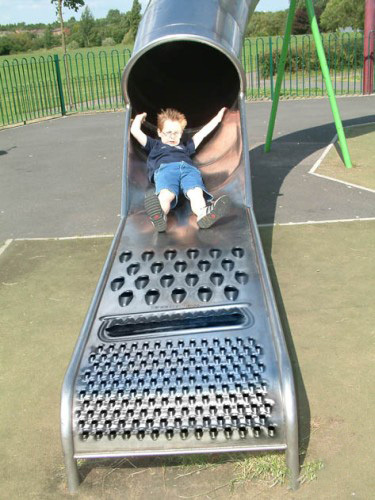 This picture of a kid sliding into a cheese grater pretty much sums up how February worked out for surfing.